Cusco was once the home of the Incan Empire. A long, deep valley, filled with red-roofed houses and uneven, narrow, two-way streets. It’s here in Cusco that the Sacred Valley begins, at the end of which lies one of the new seven wonders of the world, Machu Picchu. But before we started our trek into the Andes, we had a couple of days here to eat some local cuisine (guinea pig) check out some Incan sights (Sacsayhuaman) enjoy a festival or two in Plaza San Blas and get sorted pre-trek (thank you to my massage therapist at Encantada Boutique Hotel, I feel much better!). All in all, Cusco was a really delightful place with lovely people, fabulous weather and lots to see – and we will surely visit again. 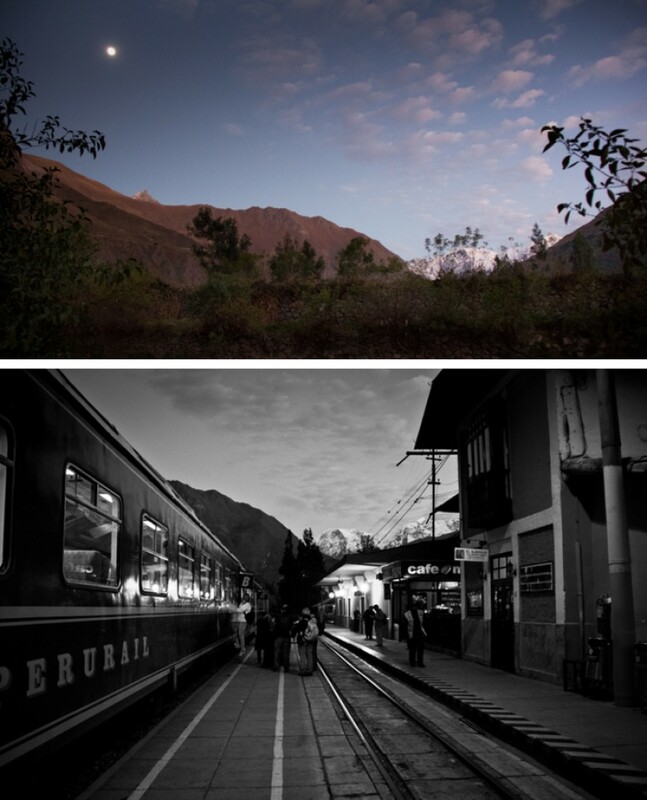 All aboard the Inka Express! Although, it’s not actually express. You can get a real express bus between Puno and Cuzco and it will take you about 6 hours. Our bus took 10 hours – but with fantastic stops along the way, and a yum buffet lunch. We set off from Puno at 7.30am and stopped first at Pukara, for a museum of Inca carvings and relicts. Second stop, La Raya, to see the highest point so far at 4300m above sea level. A quick lunch before setting off for the next two stops – Raqchi and Andahuaylillas. Raqchi is the remains of an old Inca village, set between the mountains. Andahuaylillas is famous for it’s church, which although it is undergoing repair and renovation, was still lovely. And with those four great stops, it was back on board and into Cuzco, for our last days of rest before our Machu Picchu trek! I couldn’t believe we were in Puno already. 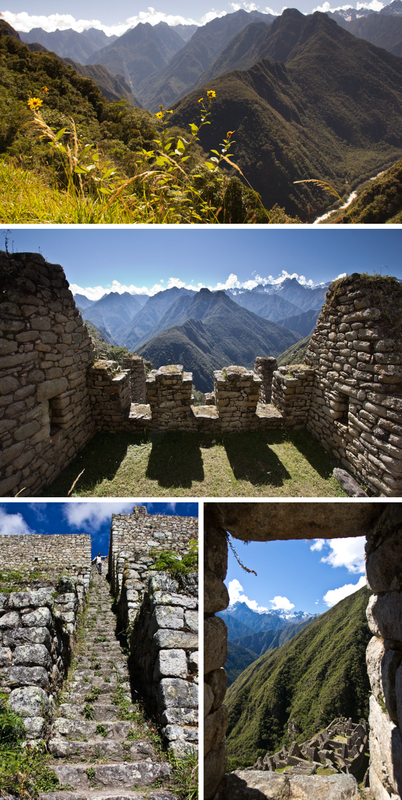 We had been arranging our tour of Peru for almost a year, through Adios Adventure Travel. For the record, they have been amazing – creating a tailor made holiday for us that includes all the big sites, dates and locations that we requested, and lovely, knowledgeable guides. I can’t recommend them highly enough. And it’s only been 4 days so far! Our first stop was in Puno, approximately 4 hours from Copacabana in Bolivia. Here we got a quick tour of the city before a delicious dinner, and an early night to prepare us for the next day – a full day out on Lake Titicaca. In the morning we visited the reed islands of Uros, and were ‘welcomed aboard’ the floating home to 10 local families. The sun was warm but there was ice on the seats – I can only imagine how cold it must get out here during the night! By lunch, we were on Taquile, taking a short trek around the island before a delicious local lunch. It was a full, awesome day, and a great start to our time in Peru. Unlike most tourists visiting Bolivia, we didn’t get a chance to see the Salt Flats, Death Road or the Witches Markets. On paper, that may seem like a bit of a fail. But time was short, and so was our breathing, so we stayed in for a few days to acclimatise and adjust to the altitude. First up was 3 nights in La Paz, which literally took my breath away as we came to the edge of the valley from the airport. It looked like a tiny town, spread out as far and wide as the mountains would allow, with snow capped peaks in the background. We then made our way to Copacabana on the edge of Lake Titicaca, for one night before starting our tour into Peru. Copacabana was small but colourful, with our first view of the world’s highest navigable lake. 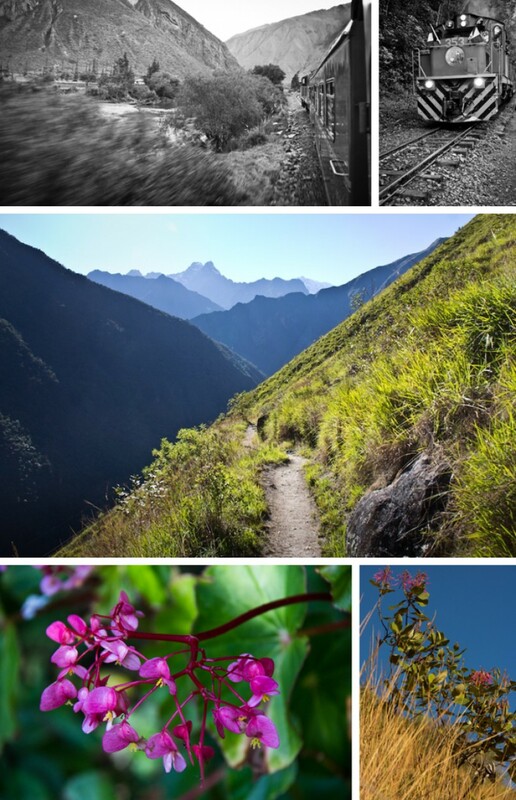 Now, rested and adjusted to being 4000m above sea level, we are almost ready to take on our 16 day tour of Peru. From the few photos I had seen of Valparaiso, I knew it was colourful. But it was brighter and more colourful than I could have imagined. I don’t know if the government endorses the graffiti, or maybe they’ve just given up, but it is plentiful – every corner, post, building, house and staircase seems to have been painted in the brightest paints you could find. The result is a rainbow city, difficult to navigate with its hills and winding streets. But just take one of the many funiculars up one of this hills and you can see the entire city below, and hopefully work out which direction you’re headed!